There’s few finer things to see in Puget Sound than a bunch of orca whales. 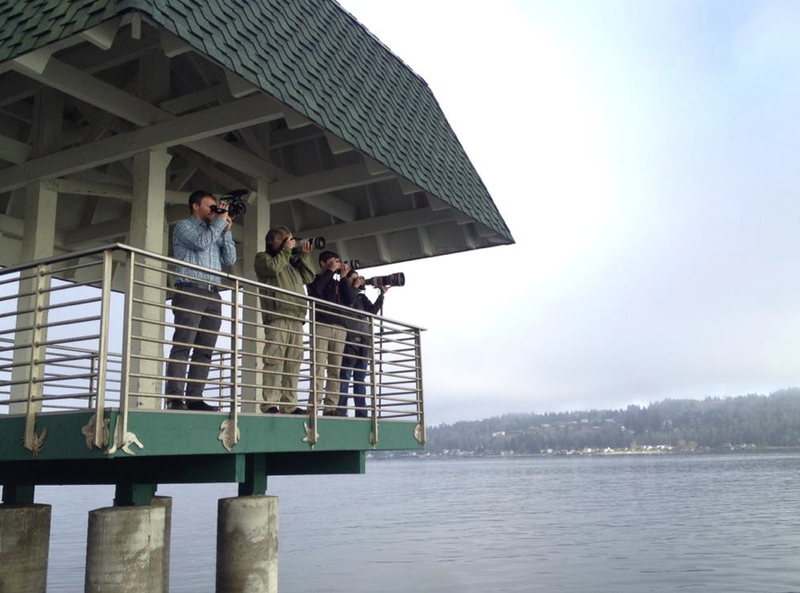 On Friday afternoon, k pod came to Sinclair Inlet, dazzling those of us gathered at Bachmann Park in Manette. I put together the little video above just to get a little taste. As you can see from the photo below, their visit was one way to get reporters and photographers out of the newsroom. Photo by Sun Reporter Tristan Baurick. That’s me on video at left, along with Larry Steagall, Tad Sooter and Meegan Reid.